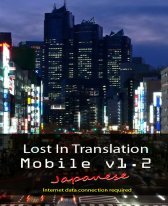 translation freeware downloads for Windows Mobile Phone. 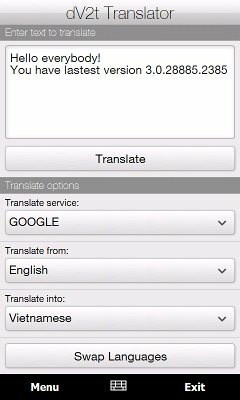 Google Translator is free online translator using translate. Summary: Ever find yourself in a foreign country eager (or clueless) to what is written on a shop sign or restaurant menu? With your trusty phone, its camera and some smart cloud services that could all be a thing of the past. 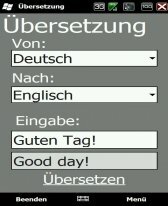 Summary: My Bing Translator is free online translator using www.microsofttranslator.com. Summary: Google Translator is free online translator using translate.google.com. Summary: Islamic religion software with lots of features, verified from Quran complex of Saudi Arabia. 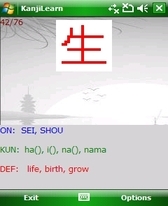 Summary: Kanji flashcards learning tool with will help you remember the Chinese Characters. Summary: An indispensable tool while traveling in Spain. With Eating Cheat Sheet, you can easily understand a Spanish menu and know what you are ordering. Summary: This is English-English Lite dictionary file for PocketDict application. It contains 74.000 entries (approx 5.1 Mb).